Ambassador Babatunde Olanrewaju Ajisomo is the Special Representative of the President of ECOWAS Commission to Liberia. He was born on the 21st of August 1952 in Lagos, South West Nigeria. He holds a Master’s Degree in Diplomacy and International Relations from University of Lagos, Nigeria, having earlier obtained a Bachelor of Science Degree in Political Science from the same institution 1981. He is also a holder of a Certificate in Multilateral Diplomacy from University of Malta and an E-Learning Certificate on Arbitration also from the same institution in 1981 including that of an Alternative Dispute Resolution from the United Nations Institute for Training and Research (UNITAR), Geneva, Switzerland. In addition, he acquired a Professional Certificate in International Relations, Law and Diplomacy at the Foreign Service Academy of the Ministry of Foreign Affairs of the Federal Republic of Nigeria. Ambassador Ajisomo also possesses a Certificate in Strategic Leadership from Albion College of the University of London, United Kingdom (UK) in 2009. 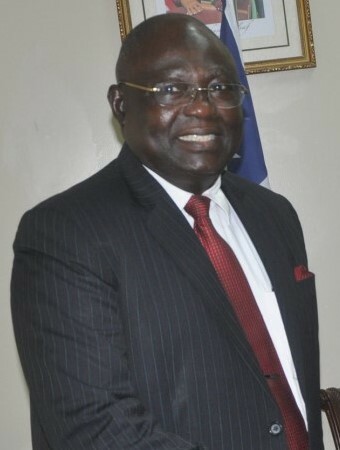 Prior to his current appointment as Special Representative of the President of ECOWAS Commission to Liberia, he had been a member of the High-Level Delegations of his country and ECOWAS to several Member States in West Africa and beyond, as well as to International Organizations, having developed profound interests in issues relating to politics, economics, gender-humanitarian, and the broad spectrum of International relations. Ambassador Ajisomo began his public service career in 1982 at the Ministry of Foreign Affairs of the Federal Republic of Nigeria rising to become Head of Mission at the Embassy of Nigeria, Hanoi, Vietnam from 2010 to 2012. 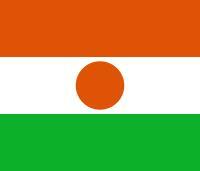 Commission for Asia and Pacific (ESCAP) as Alternate Permanent Representative of Nigeria to ESCAP. Before then he was at the Embassy of Nigeria, Warsaw, Poland and served as a Minister Counsellor and Charge d’ Affaires ad interim from 2003- 2004. From 2004 to 2007, he was promoted to the rank of Minister and covered both Political and Economic Affairs. Prior to that, he served as a Senior Counsellor in charge of Economic, Trade and Investment, Information, Education and Consular matters at the Embassy of Nigeria in The Hague, Netherlands from 1998 to 2001. Before then, he served as Second and First Secretary at the Embassy of Nigeria, Cotonou, Republic of Benin from 1986-1989 covering Political, Consular and Information duties of the Mission. Vastly experienced in international politics, he has participated in various negotiation sessions as a member of the ECOWAS High Level Delegation to all ECOWAS members States, including the African Union, European Union, Japan, India and China. He served as Secretary to the Joint Ministerial Council of Nigeria – Sao Tome and Principe from 2007 to 2010. He was a member of the Presidential, Vice-Presidential and Ministerial Delegations to ECOWAS countries, and also countries such as Chad Republic, Cameroun, South Africa, Angola, Zambia, among others.